I taught psychological theory in a graduate program for a dozen years. Every time I taught a theory, I learned more than I had known previously. My introductory lecture was Freud & Jung. Every quarter, I became more acutely aware of the mechanisms of the ego, a sadly misunderstood part of us that is the executive function of our minds, navigating between our infantile cravings (id) and our (often guilty) conscience, derived from parents and society (superego). These three functions are unconscious; we don’t know where they are or what they’re doing. If we are the fortunate ones who are content with our lives, we can kick back and not give too much thought to our inner lives. If, however, we are anxious, depressed, empty, exhausted, lonely, struggling in our relationships…then eventually we have to take a deliberate and mindful journey to recognize and learn to work with a troubled Self. We are surprised by how difficult it is to get and stay conscious. We may try meditation; but we quit. We go to yoga and may wind up just using it as a work-out. Inconsistency is one way in which the ego avoids change. Why? Because change is a journey into the unknown. …and what is anxiety if not fear of the unknown. Imagine a different ego, gently grounded, a newer version — say 2.0? Observing our own is like trying to catch a fish in a river with your bare hands…in the dark. Our ego uses defenses like denial, projection and the Great American Past-time: narcotization. We temporarily avoid feelings and insight with any distraction: food, drugs, alcohol, shopping, gambling, unhealthy relationships. The second step is to seek within ourselves for something greater than the ego, something “trans-personal,” into which we begin to place the care of our ego, much like we would hand over a screaming child to a capable caregiver. 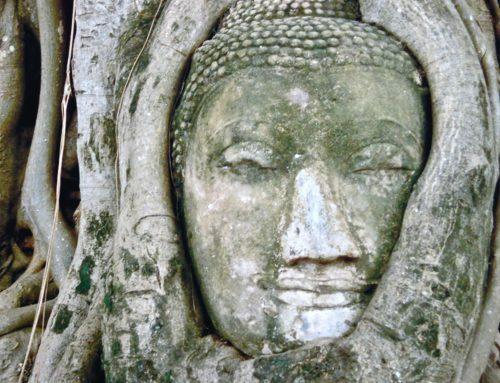 Each morning on awakening, we set our sights on these two steps, being powerless over our ego’s defenses and the willingness to believe that there is something larger than the ego that can help. The third step is the same in nearly every spiritual philosophy: We ask this inner force to help us so that we may help others. This force is the antithesis of fear and anxiety. 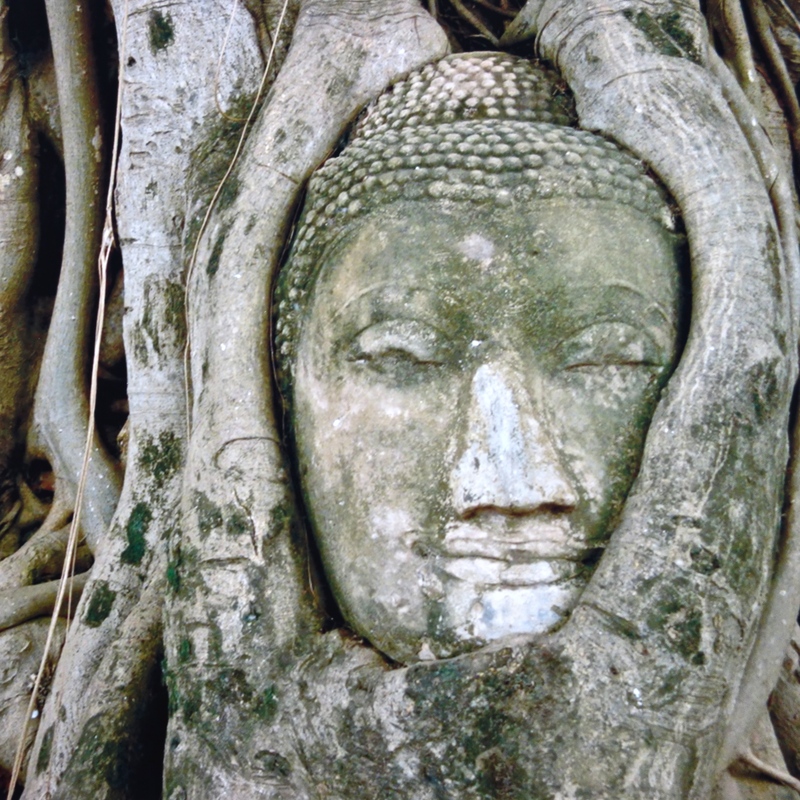 During decades of seeking a trustworthy inner resource, I discovered the Jizo Bodhisattva. 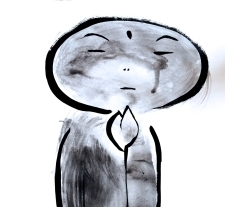 Jizo is revered in Buddhism as the protector of all those who suffer. Which brings us full circle. 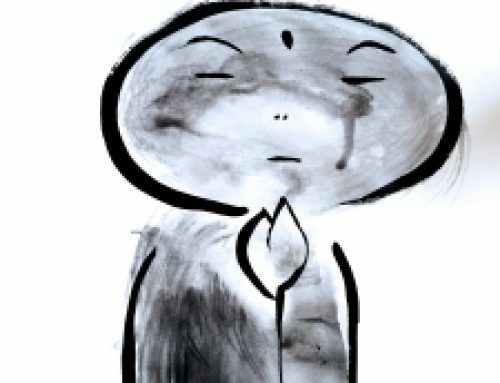 If the ego perceives suffering as something to defend against, then placing the ego into the care of Jizo may begin to ameliorate unproductive suffering. Jizo holding an infant is the great, infinite Self holding the finite ego safely.